If you are using LED Bulbs at your place that's amazing, you definitely save your energy, while if you want to save more energy and pay less on energy-bills then LEDMyplace introduces Dimmable LED Bulbs, if you're wondering what dimmable refers here its an additional features in LED Bulbs which gives you an option to control the brightness of the fixture according to your preferences. 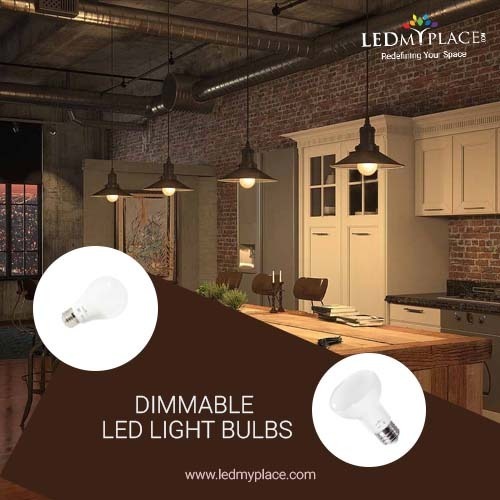 This Dimmable LED Bulbs is a DLC certified which makes it rebate eligible, and offers you the range of Color temperature of 3000K to 6500K and a lumens output up to - 1200lm ensures dark-spot illumination at your place. So, ready to install the lighting fixture which makes you pay low on energy bills and save some extra money to your pocket. Talk to our customer support on (888-972-6211).